October was National Principals Month, celebrating principals across the country. School districts used the hashtag #ThankAPrincipal on their social media accounts to spotlight leaders in education for their work with students and their communities. Below are ways that principals have been utilizing their leadership roles to improve educators and students within their districts. Administrators who adopt data analysis practices benefit their districts by making more evidence-based instructional decisions. Data can provide a snapshot of what students know vs. what they should know. Then, intervention plans can be made to close the gap between the two. 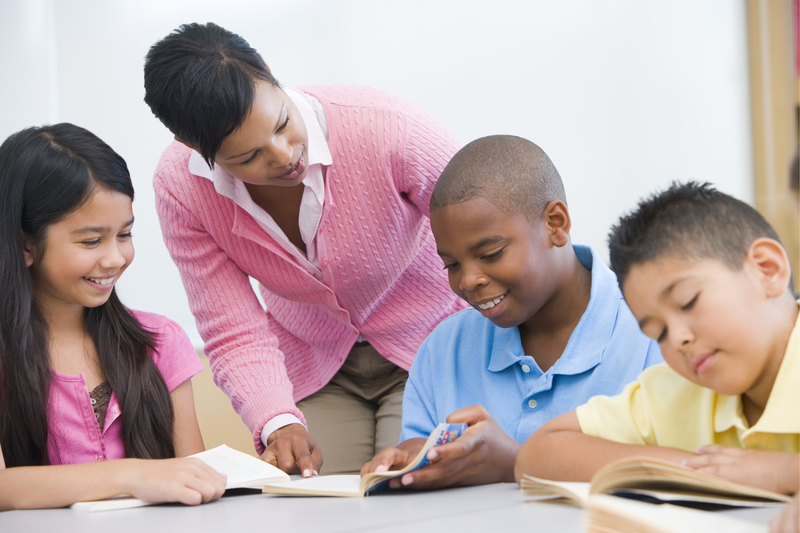 It is important to make data collection part of an ongoing cycle of instructional improvement. Collecting and interpreting data allows staff to determine if instruction needs to be further modified for each child. Teachers can include students in the data collection process, which helps students to set goals for themselves and to better understand the reason behind any modifications. When principals promote data use in their buildings, it sets an expectation of progression and development for each student. For more information on how student data collection can benefit administrators, check out our blog “Improving Student Achievement Results with Data Analysis”. Teachers don’t want to sit through sessions that are not relevant to their development and growth. If a topic is not pertinent to an audience, boredom can set in and the audience can become disengaged. Principals can ensure that they offer professional development opportunities that are relevant to staff and are differentiated to meet the needs of all educators. Josh Hall, of Union R-XI School District, decided to create a unique professional development in-service by asking students to research and present the professional development topics on the day of the teacher’s institute. Students received a specific topic that they needed to research, and then worked alongside their teachers to ensure understanding and to prepare their presentations. This method proved successful in helping both the educators and the students better understand new methods and key concepts that were going to be implemented and how these changes would benefit student learning. Red Bud Community Unit School District #132 differentiated professional develop for their staff when integrating a 1-to-1 technology program. Dustin Nail, the district curriculum director, surveyed all staff members to assess the knowledge and comfort level that each person had with the technology that the district would be utilizing. Participants were divided into three groups, according to individual survey responses, and then participated in professional development sessions designed to build upon their background knowledge. This process ensured that the session was effective and applicable to all individuals. If principals provide effective professional development, it will improve the teacher’s performance, which improves student outcomes. Thank you, Greg Mertens, for your contributions on our blog! Greg is one of our Implementation Specialists and was a Special Education Teacher/Coordinator for 8 years.